Click the [New Question] to show the new question form. 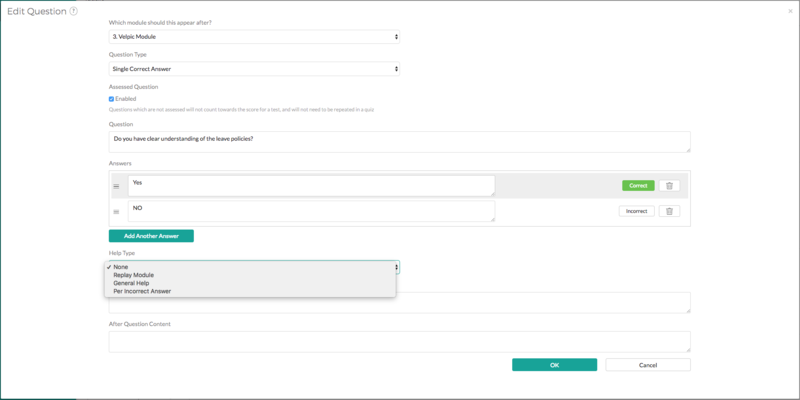 From here you can enter the details of your question, set one or more correct answers, specify if you want to turn on the Reply function, and type in your question and answers. Diagram #Q5: Add hints before or after the question, or when they answer incorrectly. 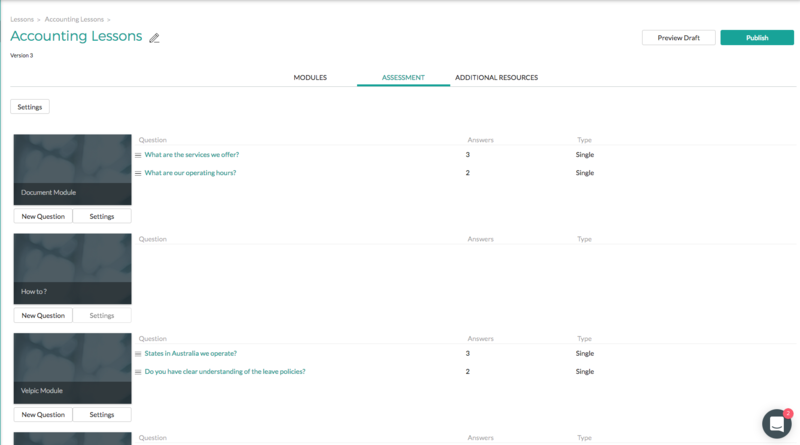 Click [OK] to save and you will be able to see your questions in the Assessment tab to the corresponding Module. You can rearrange the question be clicking and dragging the icon with three lines at the end of each question.